It’s easy to despair that people can not see social structures as anything other than dominance hierarchies. I suppose that makes sense given our primate origins. In college, I spent hundreds of hours observing chimpanzees at the local zoo as part of a research project. It doesn’t take very long to understand the hierarchy within a small colony of apes. The dominant ape spends a significant portion of this time strutting around making sure everyone knows he’s the boss. He uses every tool in the book, from the brutish power of dominance displays, all the way to the subtle selection of who gets to groom him first. He’s the big man on top. However, the longer you watch, the more you start to detect other hierarchies within the primate social system. Female chimps have their own sub hierarchy that is just as much a power game as that of the dominant male. Within a very short time you are seeing different types of social hierarchy all over the place. I found myself in awe of the number and complexity of the hierarchies that chimpanzees display. I would maintain that the hierarchies and power games played by chimps rivals anything we have in even the most vicious office politics. Of course, maybe the hierarchy is in the eye of the beholder. Perhaps we humans are wired to categorize things according to certain patterns. Maybe we are just inclined to see everything in terms of hierarchies as some sort of side effect of the way our perceptual systems are set up. I imagine there is some of that at work here. After all, as primates we have been fine tuning our hierarchical behavior for millennia, so it would be no surprise if we tend to see them everywhere we look. That notion, that hierarchy is a sort of built in default, is a pretty depressing idea if, like me, you aren’t all that fond of hierarchies. There is no doubt that hierarchies have their advantages, but they have disadvantages too. Look how well the hierarchy has worked out for the Chimpanzees. They are well on their way toward extinction, so you could argue that whatever social strategy they are using, it’s not contributing sufficiently to help ensure their survival. 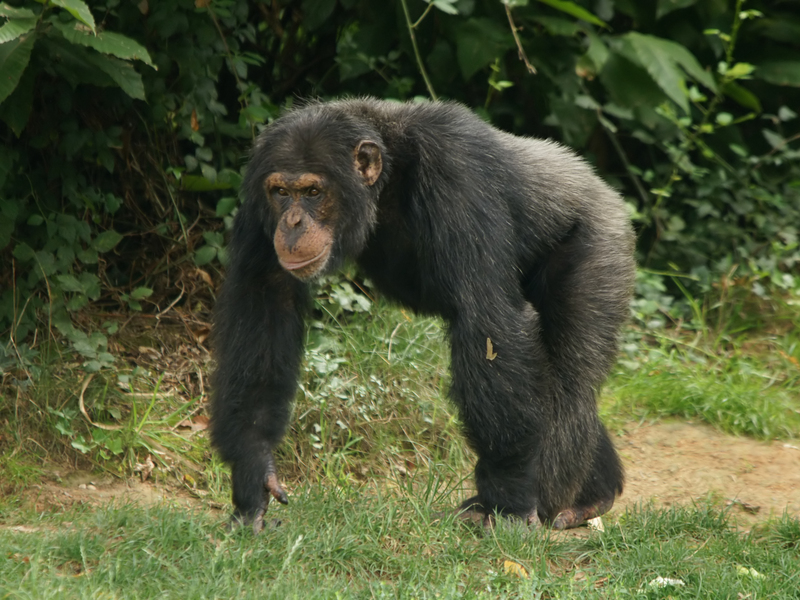 It may be that because the chimpanzee is so geared toward hierarchy they are unable to utilize other social structures that would allow them to adapt to their changing environment. Perhaps it is their inability to change their behavior that spells their doom. On the one hand, blame the human for killing them. On the other, recognize that this is an adaptive challenge to which the chimpanzee has not found a winning strategy to counter. Fortunately, humans appear to be capable of a bit more flexibility when it comes to our social and organizational structure. That is, while we still lean strongly toward the hierarchy (call it the default if you will), we seem to be capable of using other ways of organizing ourselves when the need arises. In a nutshell, when a system faces a challenge, the complexity of that system must be equal to the complexity of the threat in order for the challenged system to survive. Let’s take that back to hierarchy now. Hierarchies consolidate decision making and rely on decisions made by the guy at the top. This helps to simplify the number of responses, which can be useful, but may not be the most adaptive strategy when under threat. In a complex environment, a hierarchy is a rather simplistic structure to use. It doesn’t have the requisite variety required to cope with a complex environment where challenges can arise in many different forms. fortunately, nature has provided us with many different models of social organization to choose from. Take insects, for example, they use a very different structure often described as a swarm. The swarm does not rely on a single individual or a subset of individuals to determine its response to a given challenge. This means that the swarm can use all of the members of its population to dynamically respond to a challenge. This leads to combinatorial explosion of different alternatives, which gives the swarm a huge arsenal of complex responses. It’s probably worth noting that on an evolutionary scale, the insects have been pretty successful using this strategy (and there are those who would argue they are the most likely to win). Of course people can use these strategies too. Swarming and other social models are much more rarely used by people, but there are examples. Wikipedia is a great example of a swarm where there is no top down direction. Some organizations, like AA are also good examples. While there are not a lot of examples to choose from, with the increasing complexity of our social and business environments one might wonder if we may see an increasing diversity of swarms and other alternative social structures as a result. Time will tell. I think the recent evolution of various and sundry Agile methods may be a hint that the underlying social structures are broken, and that people see a need for alternative structures to hierarchy in order to meet the challenges of today’s ever more complex challenges. If that is the case, then I expect to see many more of these Agile methods and frameworks arising in the not too distant future. You are currently browsing the Agile Tools blog archives for the day Sunday, September 14th, 2014.